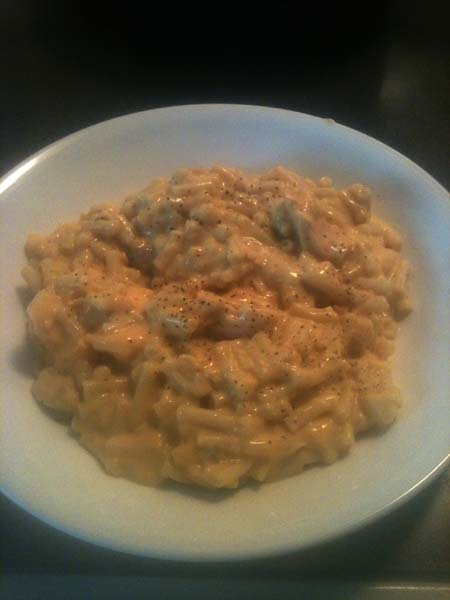 Bachelor Casserole: Quick Meal For One. I know everyone has been waiting for my next recipe like a dog looking at a juicy fresh bone. Without anymore delay, here you go, my very own, Bachelor Casserole! It is probably one of the simplest recipes to make, and one that is very filling as well. One of the best things about it is, it is probably better as a leftover warmed in the microwave. 1. 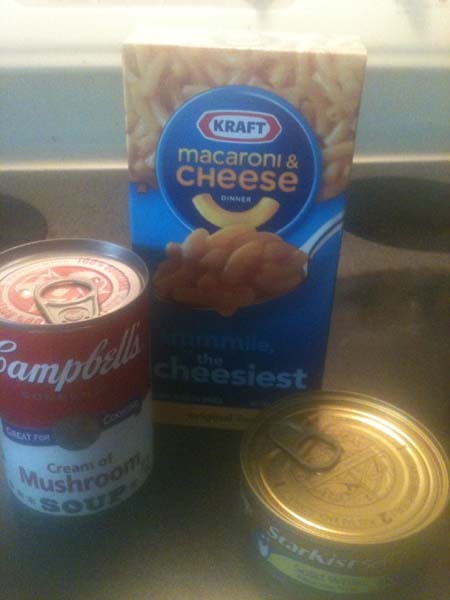 All you need is some Mac & Cheese, 1 can of tuna (or Chicken, beef, and if you are from the country, any kind of wildlife you like) and 1 can of cream of mushroom soup. 2. Start by following the directions on the box of Mac & Cheese. When the macaroni is soft enough, drain the water off and add the ingredients per instructions (butter, milk and cheese mix. 3. After you have added those ingredients, open the can of tuna and add it to the mix. Also add the cream of mushroom soup, it will give it consistency and body. 4. 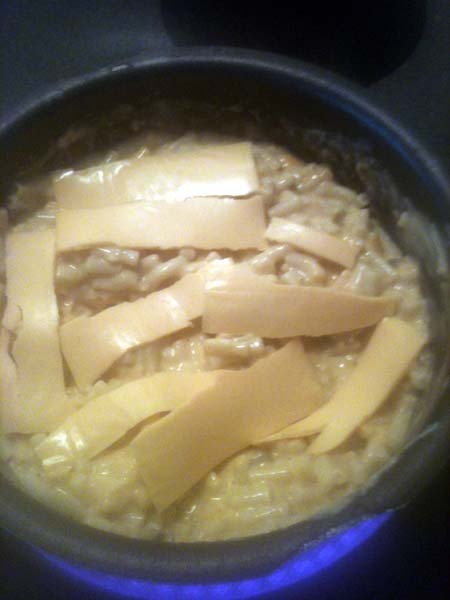 Stir everything up together, and then add American Cheese strips on top allowing the heat to soften the cheese. This is one of my favorite meals. It can be completed in just around 11 minutes and it will fill you up. It serves two, but if you want to serve more, just double everything each time you add a box. I know what you are saying “It doesn’t look very good!” But I can assure you, this is one of those meals that tastes much better than it looks.